When Vijay Singh, 50, wanted to upgrade from a popular Rs 15 lakh SUV to a bigger one, he bought the Rs 30 lakh Toyota Fortuner without having second thoughts. NEW DELHI: When Vijay Singh, 50, wanted to upgrade from a popular Rs 15 lakh SUV to a bigger one, he bought the Rs 30 lakh Toyota Fortuner without having second thoughts. “The money invested in Fortuner is worth it. It is the first choice for ‘powerful’ personalities,” said Singh, who recently did a two-way 3,000 km drive on the vehicle between Jharkhand and Jaipur. Launched in 2009, Fortuner has earned a unique reputation of being equally popular in urban and non-urban markets. 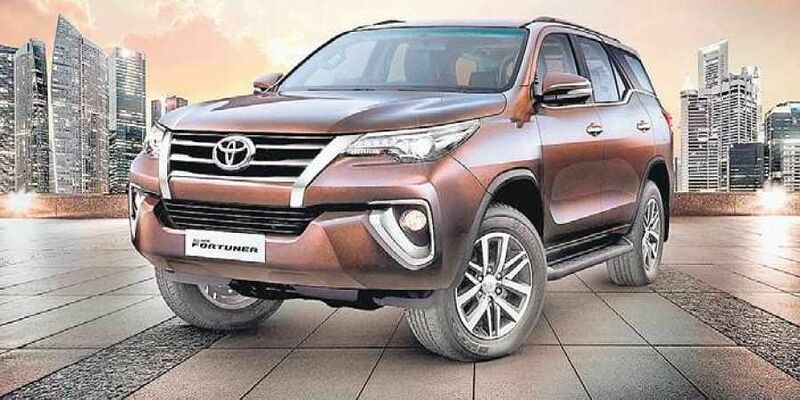 Toyota Kirloskar sells around 2,000 units of Fortuner every month, which is almost four times more than its closest competitor, and half of the demand comes from non-urban centres. “Fortuner’s demand in non-metro areas contribute to approximately 50 per cent of our current sales in the last one year and we expect it to go up in the next few years on the back of high disposable income,” said N Raja deputy managing director, Toyota Kirloskar Motor. So what makes Fortuner popular with non-urban belts? Raja said that in semi-urban and rural areas, Fortuner’s reliability, toughness, low maintenance and high resale value has contributed to its popularity. Mohammedd Hussain, a driver with 20 years of experience, said the vehicle has never disappointed him or his passengers. “Neither the old nor the new model has ever had a breakdown or any other major issues. It is as good in potholes as it is on highways.” Another owner from Haryana, who had previously owned Mitsubishi Pajero, said that unlike other high-end vehicles, he doesn’t have to take Fortuner for regular check-ups and even if he has to get things done, it is easy to locate service centres. And the company acknowledges it too. “Currently of the 350+ outlets (sales & service network), about 60 per cent is located in non-metro areas, which has enabled us to provide enhanced ownership experience to all our esteemed customers located in non-metro areas too,” Raja said. Fortuner also enjoys a very high resale value and as per market estimate, its value does not go beyond 20 per cent even after it is used for three years. This has also helped the company to retain a large portion of its loyal consumers. However, the most important factor that makes Fortuner a favourite across the country is the brand image it carries. The vehicle is immensely popular in political circles, from Rahul Gandhi to Amit Shah, many powerful people are regularly spotted in Fortuner. The aspiration among rich non-urban folks to look like their leaders also pushes up the vehicle’s sales. As of design and power, Fortuner has all the ingredient of a global SUV. The second generation Fortuner continued its legacy with its distinctive, sleak and powerful design, backed by a powerful 2.7-litre petrol and 2.8-litre diesel engine options.